UAE VP, PM and Dubai ruler Sheikh Mohammed bin Rashid Al Maktoum has launched the UAE Innovation Week where entities from the public, private and the academic sectors could showcase their innovations. According to the state news agency WAM, the UAE Innovation Week will be held from November 22 to November 28. The innovation centric week will see the UAE’s education, health, energy, environment, space, economy and service sectors present their innovations. Meanwhile the event will also look to pit the public sector against the private sector in terms of showcasing innovation. Over the last year, the UAE has priortised innovation mainly to keep its competitive edge in the region and to boost its diversification efforts. In October 2014, the UAE launched a national innovation strategy that aimed to make the Emirates the most innovative nation in the world within the next seven years. Ever since the strategy’s launch, the government has continuously introduced initiatives to further this goal. Earlier this year, the UAE announced the creation of a new post Chief Executive Officer of Innovation for every government department. Adding on to the government’s current activities, the UAE Innovation Week will also see a slew of initiatives conducted by the government and the private sector to further the goal of innovation. The event will feature workshops, seminars and innovative laboratories that will help generate new ideas and re-evaluate innovations achieved in 2015. 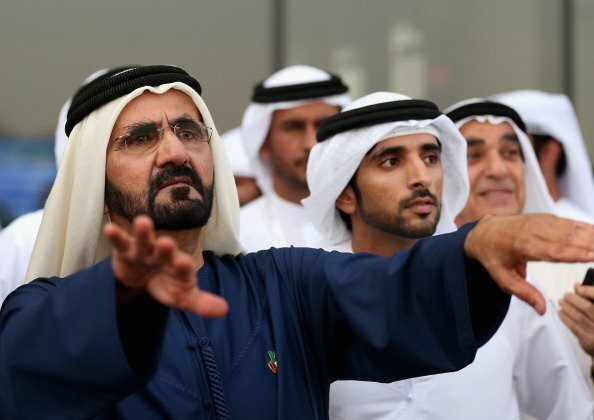 “Innovation is not an option but a necessity,” said Sheikh Mohammed. “It is not a culture but work style, and governments and companies that do not innovate risk losing their competitiveness and falling far behind. Sheikh Mohammed has also requested the public to suggest activities for the UAE Innovation Week through social media channels. He also called for ideas to celebrate the best innovators in the region and urged the public to nominate the best in the field for categories such as education and government sectors. A committee comprising representatives of federal and local governments and the private sector will be formed to organise the UAE Innovation Week, WAM said. The committee will be responsible for receiving ideas and coordinating all activities related to the week.